Arbor Trace has many terrific amenities and services available for the residents who live here. The community features not one, but TWO large libraries that are both full of a wide variety of books. 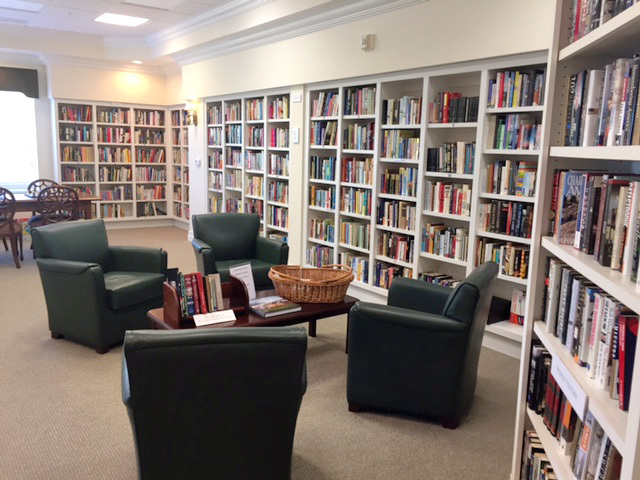 The shelves are stocked with a collection of titles, subjects, and topics. Like a traditional public library, sections include: fiction, non-fiction, biographies, large print, audio books, magazines, and more. Residents can borrow the books, enjoy them for as long as they’d like, and return when finished for others to enjoy. Both libraries constantly grow as we accept book donations from those looking to give their old favorites a new home. As you can imagine, organizing and maintaining TWO libraries is a big job! 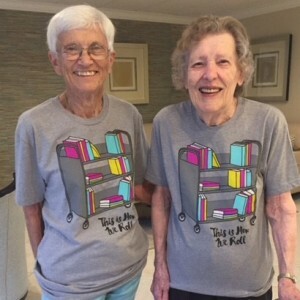 This is where residents, Karen and Elizabeth play a large role in managing the library at Tower Pointe. We refer to them as our “Lovely Librarians”, both of whom have a heart for books and enjoy spending time working in the library. They do an incredible job keeping the books labeled, cataloged, and tidy. 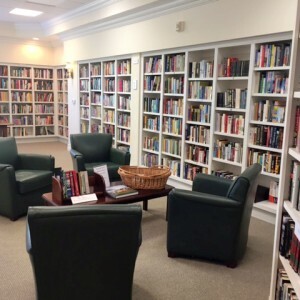 They also provide a wonderful service to the residents in our assisted living facility, Arbor Glen, who may not be able to visit the library due to mobility restrictions. 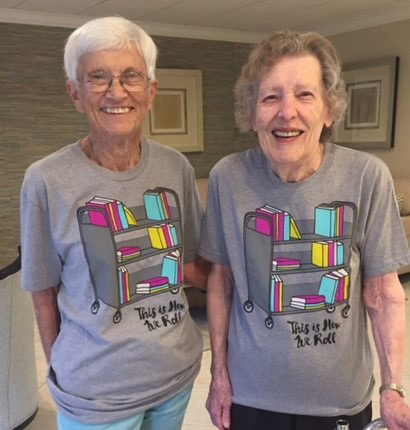 Each week Karen and Elizabeth fill a rolling library cart with a wide assortment of books. Once full, they happily roll their “library on wheels” around Arbor Glen while offering a book to each resident. These “lovely librarians” bring much cheer to the residents in Arbor Glen. We are grateful to have such generous residents who care about the community and their fellow neighbors.